17/04/2019: If you are a foodie, this is the place to go. The food was inventive, super fresh and spectacular. The setting over looking the sea just cannot be beat! 15/04/2019: Cuatro de nosotros visitamos este maravilloso restaurante ubicado en una noche concurrida el sábado. La bienvenida fue cálida y personal, y nuestro mesero nos llevó a nuestra mesa, quien describió con entusiasmo el menú y su contenido de mariscos capturados localmente. 18/04/2019: We were kindly accommodated at the last minute as a family. Children are not allowed in after 8pm which I think is a good policy. The food is wonderful and they are very accommodating towards children. The atmosphere is warm, modern and friendly. The service is excellent. We enjoyed 3 courses and a bottle of wine. We would love to return. Thanks for having us. 14/04/2019: No habíamos reservado, pero las mesas se movieron para acomodarnos a los 4 de nosotros. El personal no pudo haber sido más amable. No se deje engañar por el menú "light bite" - no hay absolutamente nada de luz en los platos producidos. La elección fue genial y la comida era increíble. 18/04/2019: Stopped here for an early evening meal. We were welcomed and enjoyed browsing the extensive menu which offered lots of lovely locally sourced options. 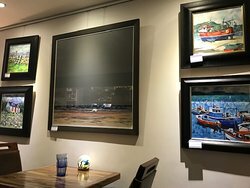 15/04/2019: Tremendous selection of local produce, the blackboard not to be missed. Welcomed warmly by attentive staff. First class. 14/04/2019: We went as a large family group so we were lucky to get seated. The service was really friendly and the waiters attentive and helpful especially with there being so many of us. The fish and chips were delicious, even the kids all finished their plates. Fish was flaky and the batter was lovely and crisp. Couldn’t fault the food or service. 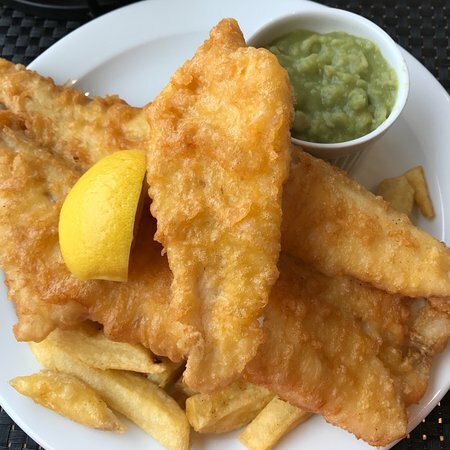 12/04/2019: Great service from the South African waiter, whose smile was as delightful as the fish and chips. We love coming to Oban and always visit the Oban Fish and Chip shop. Don’t change because you have the perfect recipe! 07/04/2019: Four of us went for Sunday lunch today. Very impressed by the high standard of finish to the building, and the spacious and tasteful layout. The service too was impeccable, and Willy Little, after cooking the starters and mains, made himself known to us and asked how we'd found the food. A very interesting and tempting menu. We mainly went for the fish dishes - all delicious and well presented. Clean plates all round in fact. The sweets were equally more-ish, though Willy told us that he hadn't made those himself. 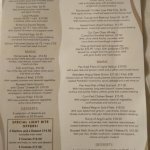 As we tended to choose across the range of menu choices, and found nothing to criticise, I'd be confident about the good quality of everything on offer, Can't wait to go back. 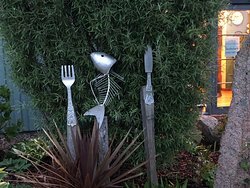 06/04/2019: While staying at a lodge in Blairgowrie we were impressed by the look of Little’s restaurant from the outside (an old church) and vowed to give it a try before we leave, we were so glad we did as the meal we had last night was truly outstanding. There is plenty choice on the menu and the specials board had so much more delicious offerings all sounding great it was hard to chose. We were not disappointed by anything we ordered it was all delicious. The staff were very attentive and polite. It was a nice touch to have the owner chef come round the tables ensuring we were happy with our meals. We both left very satisfied and stuffed!! Well done guys, we will definitely return. 16/04/2019: This place was great! 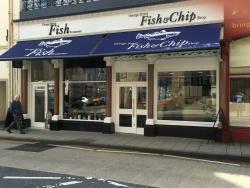 The service was extremely polite and they cooked the fish fresh to order. It was all delicious! Honestly the best fish and chips I've ever had! 13/04/2019: There are four shops selling fish and chips in Oban, and in my humble opinion is the best. This is a third generation family run shop and Anthony is a great host. 14/04/2019: Busy place, however the staff are very good and professional. All the food being served look very good we had had two fish suppers. Haddock in batter and a smoked haddock supper which was excellent and the batter was spot on. 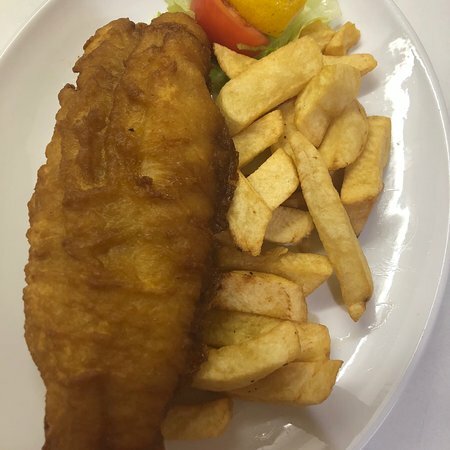 13/04/2019: lovely food and friendly staff, best fish and chips we have ate, the batter was perfect,we visited 2 nights running for our evening meal while staying in the area. 28/12/2018: We came across this wonderful restaurant by chance on a campervan trip to Mull in summer. We were not expecting anything close to the quality and uniqueness of the food, faultless and warm service, and gorgeous decor and atmosphere. It feels like spending three hours within a work of art. It really did blow us away and we plan to return to Mull next year (and possibly every year thereafter) specifically to eat at Ninth Wave. 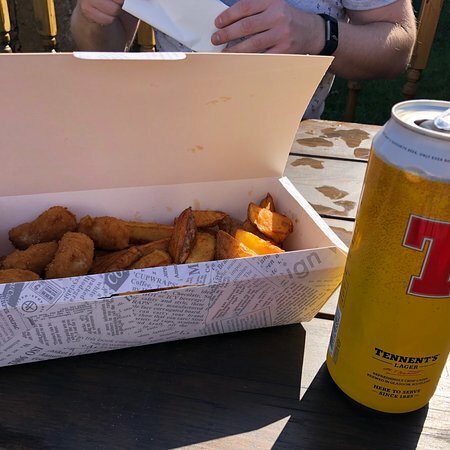 21/10/2018: Easily amongst the most superlative cuisine with which I was fortunate to be served with while on Mull, I had absolutely no issue with any of the amazing culinary creations served to me during my 2 visits. 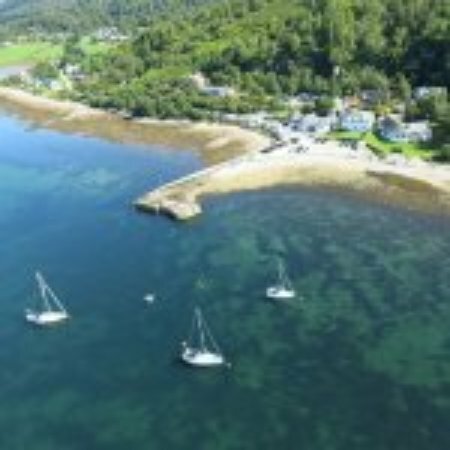 01/04/2019: My wife and I have just returned from staying in Port Appin, where we had dinner twice in the restaurant at the Pierhouse Hotel - an old favourite of ours. On each occasion, we had chilled langoustines, and they were excellent. On the first occasion, the service was also. However, on the second occasion - when the restaurant was largely being served by two young girls - much changed. They were sorely inattentive, with one standing behind the reception desk for much of the time staring into space. There was also a potentially embarrassing mistake over the wine that we had ordered, with the situation only being saved by the appearance of one of the young boys who had been working on our earlier visit. We hope that matters will improve on this front. 14/04/2019: Ambience,host,food all very good. The menu offers a good choice. The owner and staff are very attentive. You will will not feel rushed but will have time to savour the food. 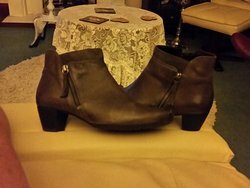 21/10/2018: Another visit staying overnight in lovely room and usual fantastic Dinner. David is excellent mine host. If you can then make the effort you won't be disappointed. 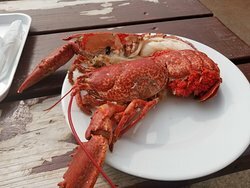 17/04/2019: Délicieux plateau de fruits de mer, l'assiette de saumon est également excellente pour les jeunes. 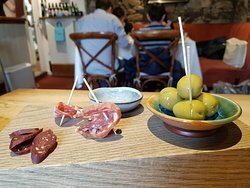 Ce restaurant à été le winner 2017 des Scottish food awards. Possible de manger dehors ou en intérieur au sondes musiques écossaises joyeuses. Réserver un peu avant pour être certain d'avoir de la place et de choisir intérieur ou extérieur. Service très courtois et efficace. La plage en bordure est appréciable. 16/04/2019: Be prepared to smell like smoked salmon! The food was delicious and beautifully prepared. The atmosphere was quaint. Make reservations. 23/03/2019: Ate in the restaurant one evening. The king prawn supper was amazing. Portion sizes are very good for value. All round a lovely place for fish and chips. 15/04/2019: We had 1 Scallop and Black pudding roll and one fish & chips. All the food was delicious and the lady was very nice. 08/04/2019: Fresh seafood including Scallops. Amazing views over Iona. What more could one want! The staff were friendly and there is an outdoor seating area which will be brilliant in the summer. Would highly recommend to anyone when visiting Mull, the single track road out to Fionnport is worth it! 03/03/2019: The Lobster Hut is always a treat. The Lobster is fresh and yummy. The team there is friendly and very informative about their product. Visitors love The Lobster Hut! Make sure you visit our Harbour and The Lobster Hut! 28/12/2018: Open during the summer months for lovely fresh seafood..!! We had great lobster rolls and couldn't fault them! 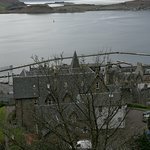 18/04/2019: My son and I were on a whirlwind tour of Oban last week and had a delicious meal of fish and chips here. 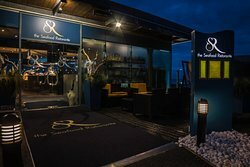 What a lovely place - staff are so attentive and the food... well my 12 year old is wondering when we can drive back to Oban for the best fish he's had. 14/04/2019: I do not write a lot of reviews only if its either really bad or outstanding. This little gem of a place was outstanding. Every detail was perfect the décor was tasteful right down to the beautiful fresh roses and tulips on the table. The best part of all was the food. 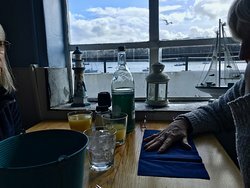 My husband and I were looking for a nice fish tea and we had already sampled the famous chippy with the Rick Stein approval, so we tried this place instead. I am so glad we did it, hands down beats the other place by a mile. 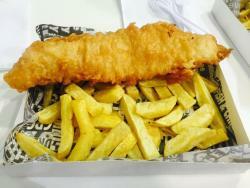 Fish was very fresh, with a very crisp and light batter and the chips were "real" homemade chips simply perfect. We only sampled the fish tea but the menu had all the seafood delights you would expect from a place with easy access to the best Scottish Seafood.